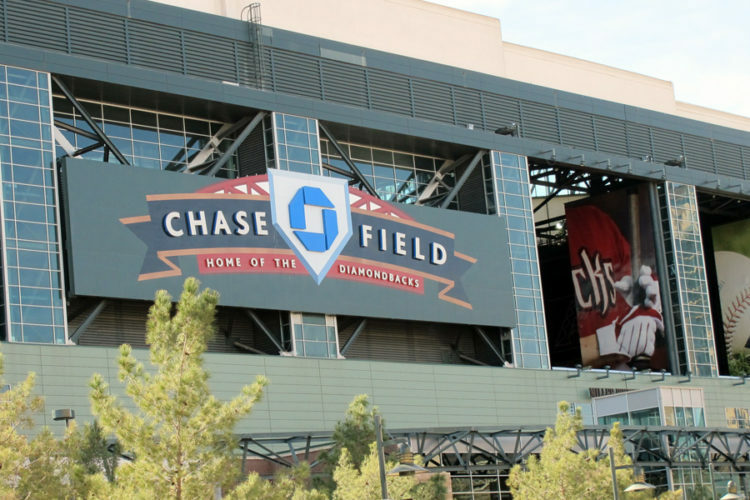 After a day off, the Dodgers are in Phoenix for Game 3 of the National League Division Series against the Diamondbacks. The series has been far from stress-free, but the Dodgers find themselves in a favorable position, up two games to none. They’ll have three shots at a win to advance to the NLCS, if they need it (but hopefully, they won’t). Tonight, they’ll face a D’backs team that has “all hands on deck,” led by an old friend. Finishing the job against Zack Greinke (3.32 ERA, 3.20 FIP, 3.00 DRA) won’t be easy, but it sure would be gratifying. On the mound for the Dodgers is Yu Darvish (3.86 ERA, 3.81 FIP, 3.08 DRA) in just the third postseason start of his career. He appeared in one game in the Division Series for the Rangers last year, and allowed five runs on five hits (four home runs) in five innings pitched. In the 2012 AL Wild Card Game, he allowed three runs (two earned) in 6.2 IP. Darvish only made one start against Arizona this year, his second outing as a Dodger. He allowed two runs on five hits in five innings while striking out 10. That’s the sole look the D’backs have gotten at him, as his only two previous starts against them came in 2013. Tonight, the Dodgers will be watching his tempo and his rhythm. On the Arizona side of things, Greinke gets the ball for his second start of the 2017 postseason. He started off strong in the Wild Card Game with three scoreless innings, but got chased in the fourth after allowing four runs on six hits. Greinke has made a total of 10 postseason starts in his career, including six for the Dodgers. He had a 2.38 ERA in 41.2 playoff IP for Los Angeles (which is great, although it doesn’t excuse forgetting to cover third base in Game 5 of the 2015 NLDS). Greinke has faced the Dodgers seven times since becoming a Snake, with mixed results. He’s had several very good outings, but he’s also gotten lit up a number of times. Overall, he’s allowed 23 runs (21 earned) on 42 hits in 42.1 IP, with 16 walks versus 40 strikeouts. It’s worth noting that he has fared much better at home than he has at Dodger Stadium. Greinke will see a lineup similar to the one Dave Roberts typically sends out against righties, with a key difference: Austin Barnes is starting at catcher, not Yasmani Grandal. Barnes is out there because of the quality of his at-bats, per Roberts. Hopefully, though, this is the start of a trend. Barnes actually had a few more plate appearances against righties this year than he did lefties, and his OPS against righties is .902 (versus an OPS of .886 against lefties). Alex Wood, who’d start a potential Game 4, doesn’t expect to come into tonight’s game, “barring anything crazy.” We’ve seen a whole lot of crazy in this postseason so far, though, so who knows. Elsewhere in baseball, the Astros beat the Red Sox today to advance to the ALCS. They’re currently awaiting the results of the Cleveland/Yankees series. Cleveland has a 2-1 advantage, but the Yankees are up 4-0 in the third at time of posting. In the National League, the Cubs took a 2-1 series lead over the Nationals. They’ll play again tomorrow. Sarah Wexler is a native Angeleno and longtime Dodger fan. 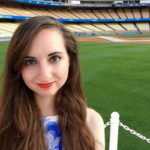 She began blogging about baseball in 2012 on her Tumblr, New Grass On The Field, where she covered an array of topics but especially enjoyed exploring baseball history. She is now a reporter/producer for MLB.com. She earned her master's degree in Sports Management from Cal State Long Beach. She graduated from New York University in 2014 with a bachelor's in History and a minor in American Studies. She's an avid Springsteen fan, which is a big boost to her baseball writer cred.